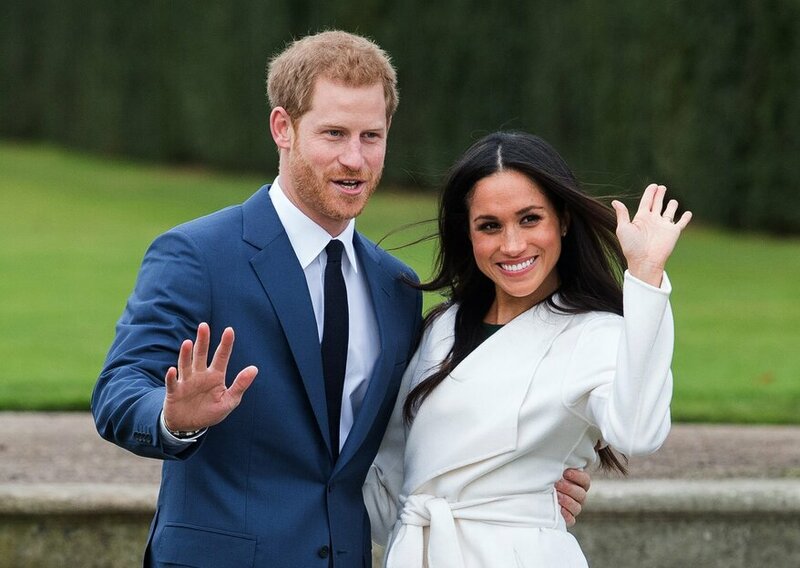 With less than two weeks to go until Prince Harry marries Meghan Markle on Saturday 19th May 2018, our country can hardly contain its excitement. Seven years ago, the Royal Wedding between the Duke and Duchess of Cambridge saw a burst of patriotism and summer street parties, as the world turned their attention to Westminster Abbey. This year, Harry and Meghan’s wedding will be no different. Most millennial women will have grown up with the hopes that Prince Harry would be their noble suitor, but with those crushed dreams aside, Ms Markle has already captured the hearts of the British population with her beaming smile and admirable charity work. We’re all itching to see her emerge from her carriage in a dazzling white gown, and to watch the Royal festivities unfold. 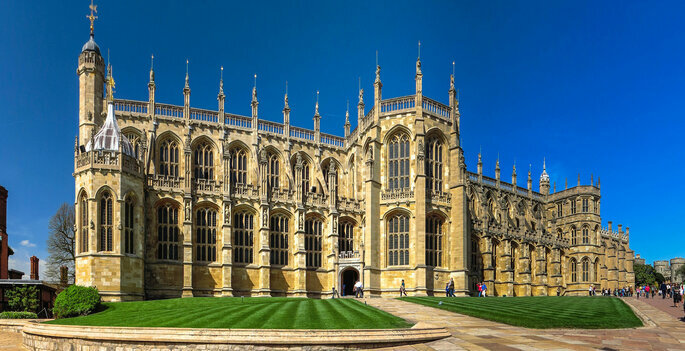 One of the first Royal Wedding details to be announced was the venue for their ceremony, which will take place in St. Georges Chapel, Windsor Castle. Founded in 1348 by Edward III, this awe-inspiring venue has hosted royal weddings for centuries. The venue can seat up to 800 guests, and the inside is characterised by a gothic architectural style that oozes regal grandeur. Prince Harry’s father, Prince Charles, married Camilla Parker-Bowles (The Duchess of Cornwall) in this very spot 12 years ago. Something else that makes the choice of venue particularly special for the couple is that Prince Harry was baptised here in 1984. The St. George’s Hall, one of the most impressive areas of Windsor Palace, will be transformed into a reception space for the esteemed guests. The grand hall is famous for hosting all kinds of state dinners over the years, and will host the attendees of this special wedding as Harry and Meghan parade the streets of Windsor. Afterwards, 200 close acquaintances have been invited to an after-party at Frogmore House, a short walk from St George’s Chapel. Expected names among the rumoured guests are Cara Delevingne, David and Victoria Beckham, and Serena Williams. This is something Kensington Palace will be leaving for speculation and imagination right up until the big day, so we can only guess. One thing is for sure, Meghan will make a gorgeous bride. There are already several names arousing suspicion. A likely contender is Erdem, a London-based fashion house that often dresses Meghan for various occasions, and the bride-to-be herself admitted to Vanity Fair that Erdem “is a designer I’ve been using for years.” Despite being a British label, Erdem Moralıoğlu is Canadian-born, which would honour Meghan’s own routes before moving to London. Another possibility is Alexander McQueen, who designed Kate Middleton’s iconic v-neck laced gown seven years ago. Alternatively, there is Ralph & Russo, who designed Meghan’s £56,000 couture dress for her engagement photos. With the wedding of the year we can only expect an A-list of celebrity guests. Royal fans have been in for a treat this year, with the arrival of Prince Louis of Cambridge last month, but as expected, the baby prince will not be attending the wedding. Instead, the happy couple will be opening the door of St George’s Chapel to 600 friends and family, along with inspirational members of the public from a variety of backgrounds. Despite the fact that this is not the wedding of a future King, Royals from around Europe have been invited, as well as prominent names in the Commonwealth. Celebrity names such as Rihanna, Ellie Goulding, Chris Martin, James Blunt, Millie Mackintosh, Sir Elton John and the Beckhams are all rumoured to be attending. The couple’s different backgrounds and ventures around the world will promise an extremely varied and original guest list. 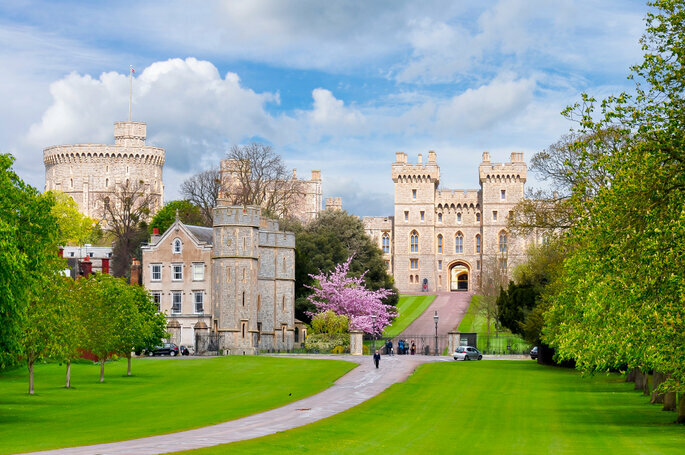 Early on in the planning process it was announced that Harry and Meghan will invite 2,640 members of the public into the grounds of Windsor Castle to watch the arrival and to enjoy the official Royal Wedding party. 1,200 of these guests have been selected by regional Lord Lieutenant offices. The couple specified that the group should be from a broad range of backgrounds and a mix of ages that have “shown strong leadership and those who have served their communities”. Among them are survivors of the Grenfell fire, war heroes and charity leaders. Meghan and Harry’s invitations were sophisticated and regal, with American ink on English card in black and gold. Barnard & Westwood are a British printing and binding company has been the Royal’s Family’s favourite since 1985. It’s no surprise that Prince William, Harry’s older brother, will be his best man on such a momentous day. Despite the fact that the chosen date falls on the same day as the FA Cup final at Wembley which the Duke of Cambridge usually attends as president of the Football Association, he wouldn’t miss being his brother’s best man for the world. Prince George and Princess Charlotte are likely to be page boy and flower girl, and Meghan is expected to choose her close friends as bridesmaids, such as actress Priyanka Chopra and tennis champion Serena Williams. 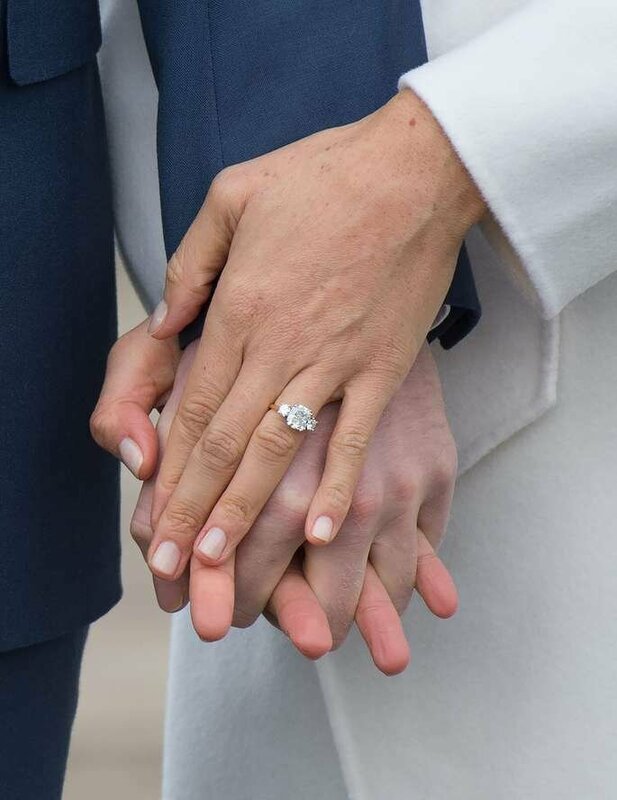 On 9th April, Kensington Palace confirmed that the couple would prefer donations to important causes rather than traditional wedding presents. The causes include: Crisis (a UK-based homelessness charity), Scotty’s Little Soldiers (which helps bereaved Armed Forces children), CHIVA (Children’s HIV Association), the Myna Mahila Foundation (a charity that supports women in Mumbai’s urban slums), StreetGames (a foundation using sport to change lives), Surfers against Sewage and The Wilderness Foundation UK. Pastry chef Claire Ptak, of Violet Cakes in Hackney (East London) is the confirmed name for the making of Harry and Meghan’s wedding cake. Lemon and elderflower is the proposed flavour, in order to bring “bright flavours of Spring”. After the Dean of Windsor has conducted the service and the Archbishop of Canterbury has officiated the couple’s vows – the newlyweds will undertake a carriage procession from St George’s Chapel through Windsor. They hope that this journey will be a chance for more people to come together and enjoy the celebratory atmosphere of the day. Kensington Palace have even announced the particular carriage from which Harry and Meghan will be waving to the world. The Ascot Landau carriage chosen by the couple is pictured below. The carriage is one of five Ascot Landaus used by the Royals – Ascot Landaus are used typically used for The Queen’s procession up the course at the Royal Ascot Race and for other official visits. Similar to the Royal Wedding in 2011, Meghan’s father will be walking her down the aisle to her future husband. The flowers will be arranged by Philippa Craddock, and will be a glorious arrangement of white garden roses, peonies and foxgloves from the gardens and parkland of the Crown Estate and Windsor Park. James Vivian, director of music at St George’s Chapel, will be directing a number of well-known hymns and choral works for the service. 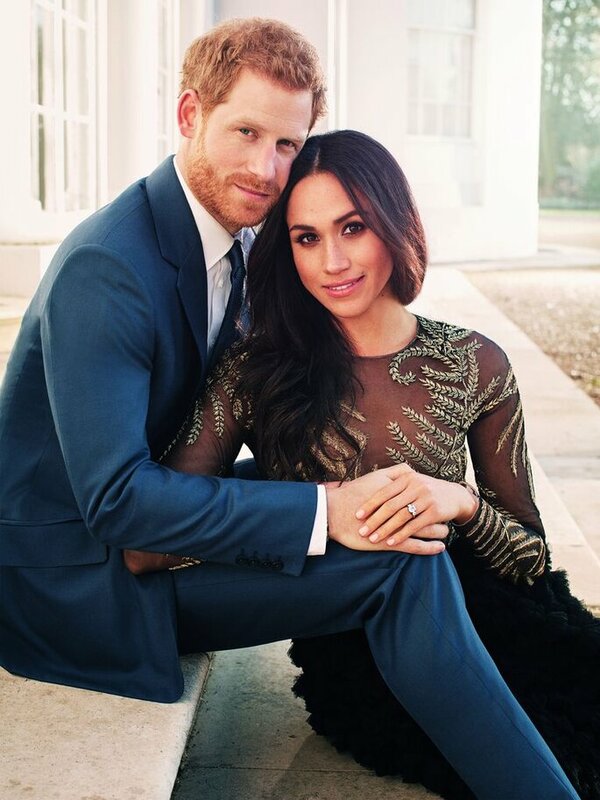 The couple will spend the first few years of their new life together living in Nottingham Cottage, one of the houses that make up the prestigious Kensington Palace. This is likely just a starter home for the couple, since it is relatively small and cosy with two bedrooms. This was where the Duke and Duchess of Cambridge lived before moving into their 20-room 4-story residence within the palace itself. There’s no doubt that Harry and Meghan will make the perfect husband-and-wife duo. So while they are planning their extravagant wedding, the whole country is preparing for the patriotic celebration of the year. 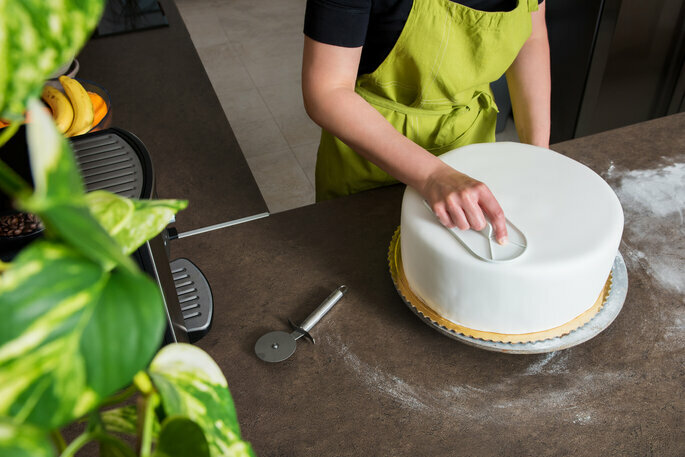 Shops in Windsor are already selling tubs of Marmite with Harry and Meghan written on them, and many supermarkets will be mimicking their Lemon and Elderflower cake so that you can have a taste of their wedding from the comfort of your home. Which Of These 8 Designers Will Design Meghan Markle’s Wedding Dress?